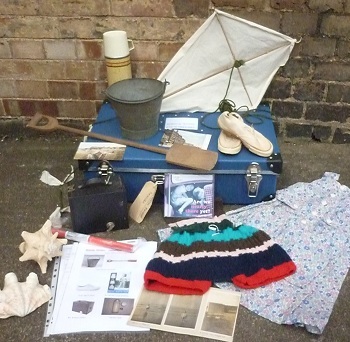 School loan boxes contain a selection of real and replica objects and often some printed materials related to their topic. The objects are intended to be suitable for supervised handling within schools as a stimulus to discussion and classwork. There is no charge for the use of a school loan box although a refundable deposit is required to take one away from the museum. A copy of the loans agreement form can be downloaded here. This form must be filled in before a loan box can be delivered to a school and signed again when the box is returned to the museum in good condition with all its parts. At present the Whittlesey Museum school loans service only covers schools in Whittlesey or the immediately adjacent communities. This is because delivery and collection of school loan boxes is often carried out by museum volunteers. Should there be loan boxes at the museum which are not being required for school use, it may be possible to book them out for other community or youth groups. A fee is charged for non-school borrowing of school loan boxes and the loans agreement form must be completed and a refundable deposit provided as above. Please contact the Curator Jennifer Barback by sending an email to whittleseymuseum@gmail.com if you wish to book a schools loan box.